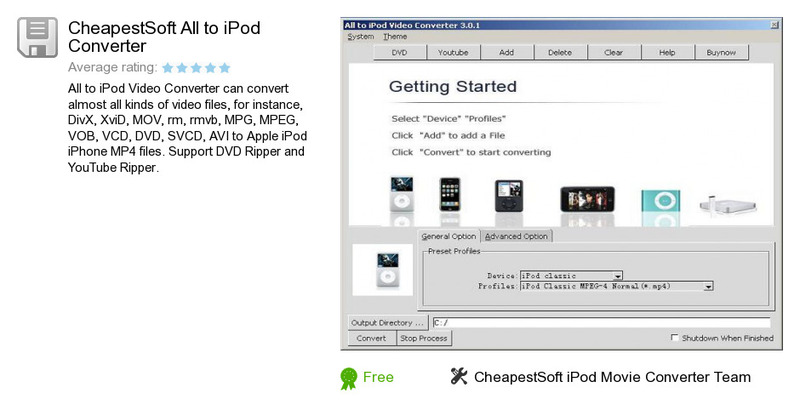 CheapestSoft All to iPod Converter is an application developed by CheapestSoft iPod Movie Converter Team. We know of versions 3.0, 2.0. Version 2.0 is downloadable at our site. CheapestSoft All to iPod Converter distributive has a size of 12,030,321 bytes.